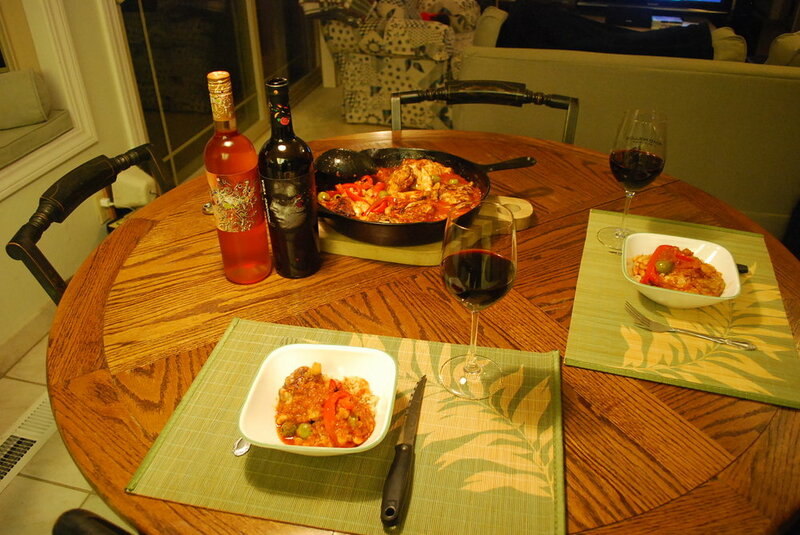 Part of the fun of cooking new recipes from around the world is discovering new flavors. Often I lean toward quintessential dishes. Sometimes even "the dish" of a country. And sometimes I just want to be inspired by the flavors, the scents, the look, or feel of a place and its food. For the Spanish GP I wanted something easy, tasty, and full of smoked paprika. This recipe did not disappoint. Full disclaimer, as the original author of this recipe fully admits this is not actually an authentic Spanish dish, but more of a Spanish-ish dish with lots of Spanish inspired ingredients. I am all for experimentation and smoky paprika, also this was tasty, so thanks to Julia for playing around with Spanish flavors and creating this deliciousness. Heat a tablespoon of olive oil in a saucepan and add chopped onion, cook over medium heat for 5 minutes or until softened. Add sliced garlic, minced chili, chopped carrot, and thyme (leaves only) and cook for 5 minutes. Pour in canned chopped tomatoes (including liquid), vinegar and a pinch of salt and pepper, turn the heat up and bring to a boil, then turn the heat down and let the sauce simmer for 10 minutes until thick. 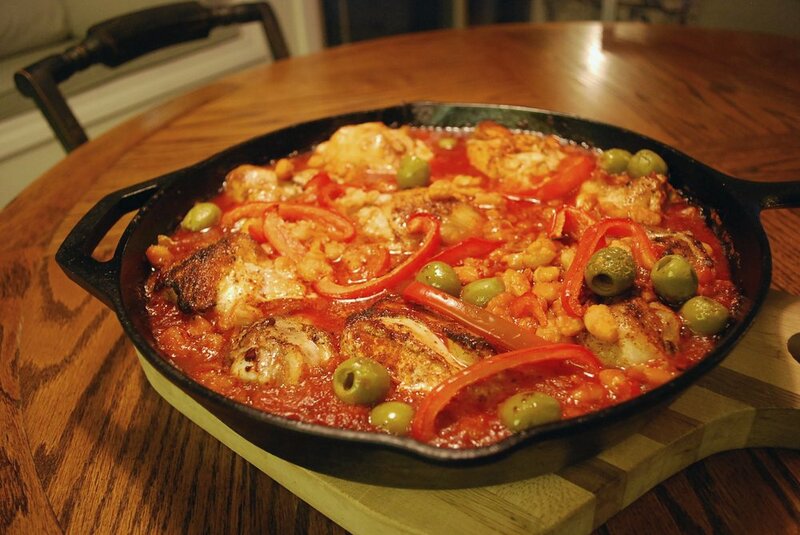 Add bravas sauce to the same skillet, put chicken on top and scatter butter beans, olives, and sliced red pepper all over. Slice fruit and drop into a large pitcher. Add orange juice and wine and stir. Refrigerate until serving, at least 4 hours, up to 2 days.